Flexbox is a hot topic for frontend developers since it offers a modern approach to CSS alignments. Most website layouts rely on CSS floats or fixed percentages to keep content blocks in line. 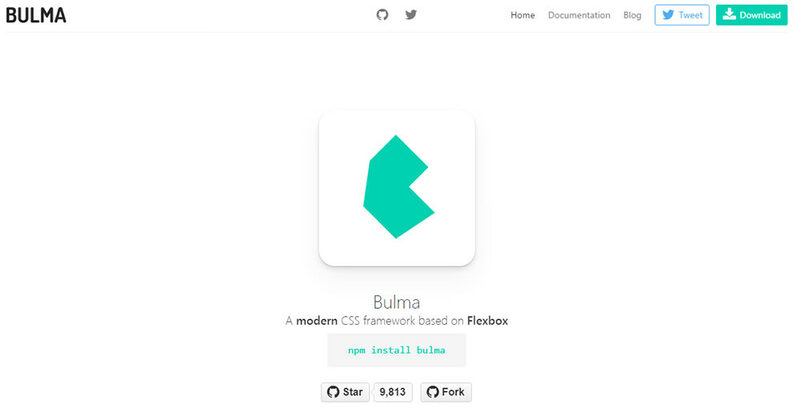 But flexbox changes all the rules and with a framework like Bulma you can build full layouts on flexbox. This is a brand new CSS framework still in the early stages of development, but with a lot to offer. For such a young project it seems like Bulma is brimming with potential. 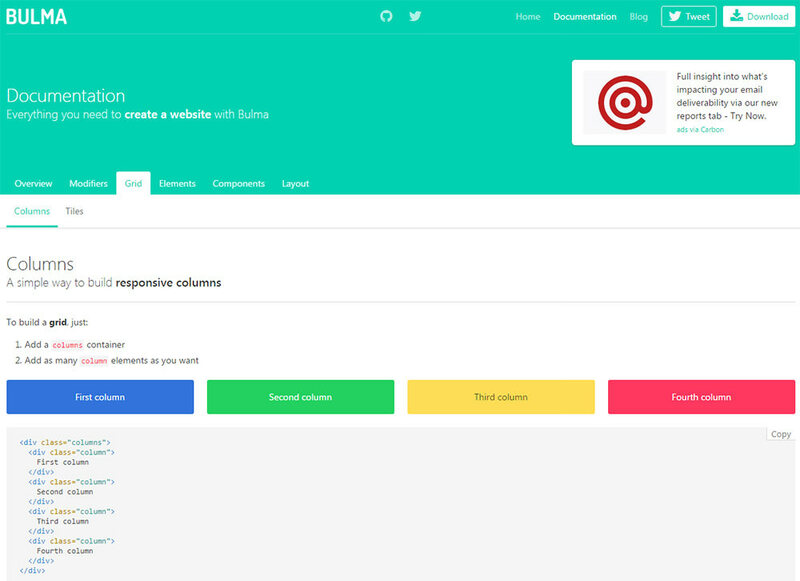 Bulma offers a modern CSS framework and responsive strategy for layout design. With flexbox you can structure any number of block elements to align next to each other and break down at certain breakpoints. With a simple class of .columns you can add as many divs as you want and keep the layout consistent. You can change the column classes to make some wider than others and to have some align differently. Both horizontal and vertical alignment is super easy with this framework. Never again will you need to hack together a CSS solution at the last minute. The best part is that most modern browsers support flexbox with the exception of Internet Explorer. But with Microsoft moving over to Edge it’ll be much easier to use a framework like Bulma without concern for legacy support. It’s also worth noting this isn’t just a flexbox framework. It’s a full CSS library with default styles for typography, buttons, input fields, and other common page elements. Bulma is completely free and comes with excellent documentation if you’re willing to dive in and start building. And if you don’t want to download Bulma locally you can still try it out using the online CDN. The online documentation should be more than enough to get you started, particularly the grids page which you can use for building a full layout structure. Bulma is currently in version 0.2.3 so it has a long way to go before the v1.0 release. Even in its current version it’s still quite usable and it offers a lot of potential for the future. To learn more check out the official GitHub repo or visit the Bulma webpage for install instructions and full documentation.